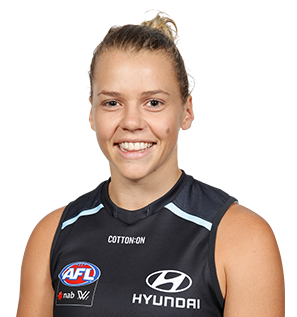 Carlton Media's Lucie Jamison sits down with one of the Club's emerging players, Maddison Gay. New to football, 21-year-old Maddison Gay is working tirelessly to develop her game. Maddison Gay joined the Blues as a rookie in May 2017. Formerly an elite netballer, Gay was selected in Melbourne University Lightning’s Division One side in 2017, after three years with Melbourne and one year with Ballarat Pride. The 20-year-old is currently studying to be a primary school teacher and arrives at Ikon Park from the St Kilda Sharks after pulling on the footy boots for the first time in 2017. She's described as an outside midfielder with great balance.